The Mirkwood Infantry are soldiers of Woodland Guard, Silvan Elves sworn to protect and watch over the great forest of Mirkwood, Thranduil's kingdom. They are lethal fighters and experts in the use of various weapons including the bow and sword. 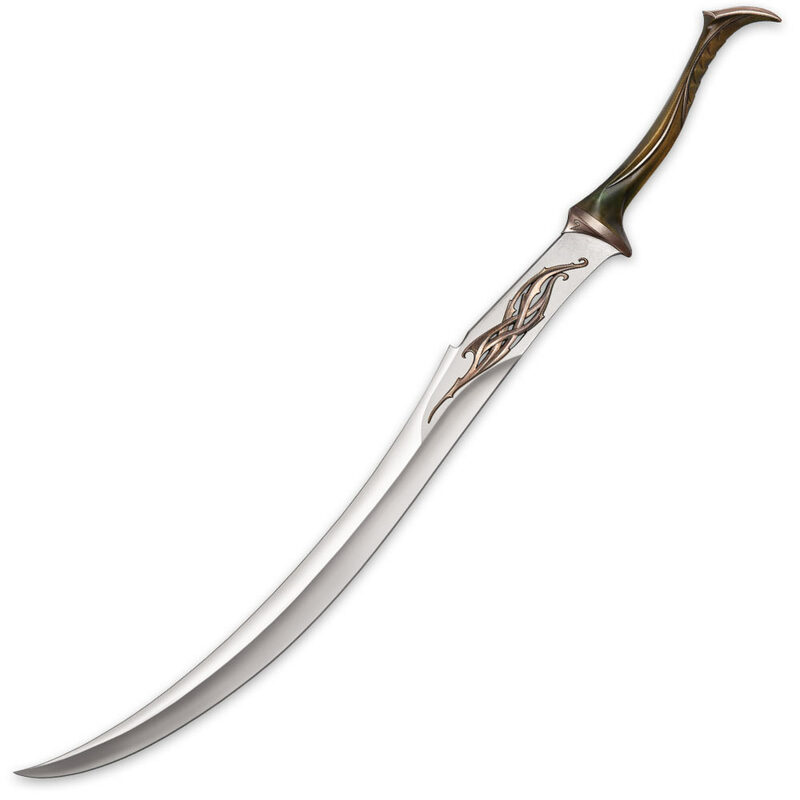 The Mirkwood Infantry Sword is an elegant and deadly Silvan design, crafted with a two handed grip and Elven blade forged of Silvan steel, ornately decorated with flowing Elven designs. This United Cutlery collectible replica features bronze finished cast metal hilt parts, a composite grip, and stainless steel blade with cast metal ornaments. It is presented with a wooden wall display (mounting hardware and instructions included) featuring a Wood Elf graphic motif, and includes a certificate of authenticity.